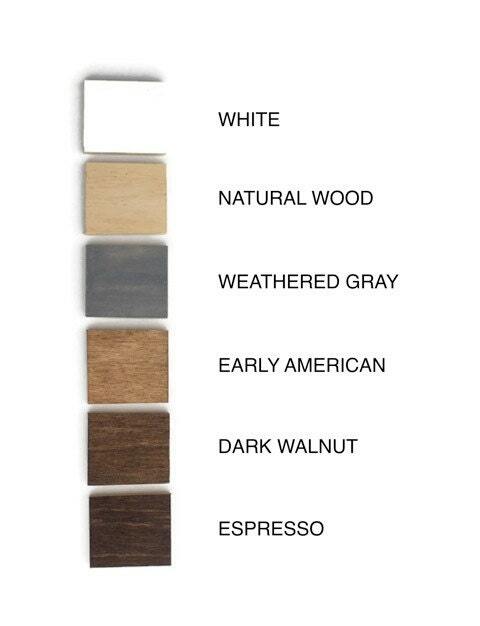 • Color: See drop down box and 5th picture above for color options. 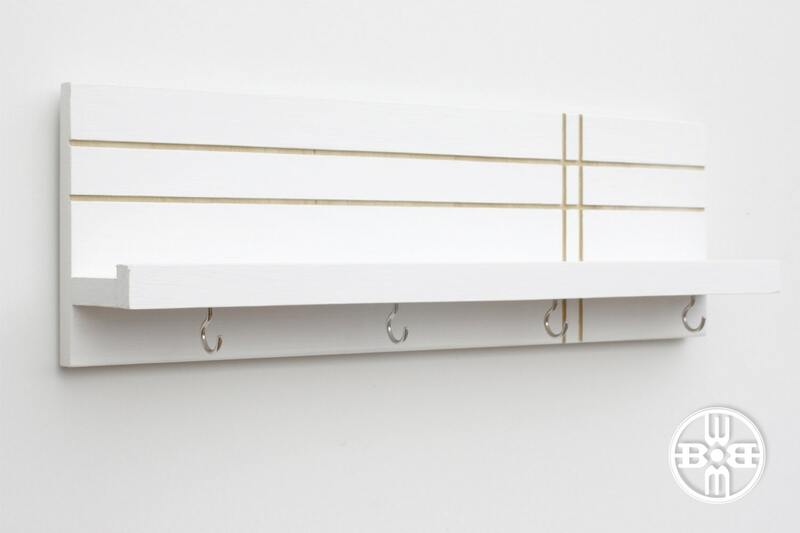 (White with a natural wood line pattern and silver key hooks pictured here.) The item is finished with a modern matte clear coat. • Number of Hooks: Choose between a set of 4 silver keys hooks (pictured) or a set of 7 silver key hooks. • Features intersecting grooves routed into the wood, left a natural wood color. • Easy to install, and wall screws and anchors are included. Are you forever losing your keys? Or, maybe your spouse and kids are affected by this oh-so-common affliction. 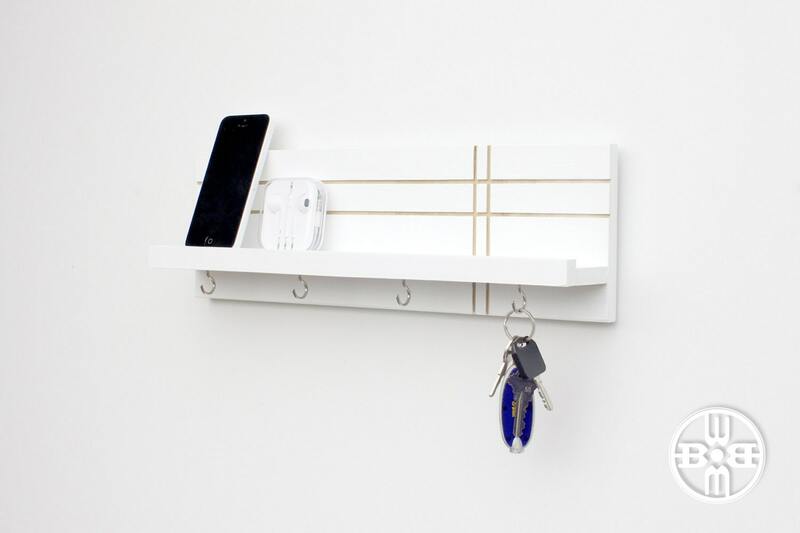 Keep everyone organized with WoodButcher's modern key rack. This hand tooled product features a 2-inch deep floating shelf for storing phones, outgoing mail, tech accessories or other items necessary to your daily life. 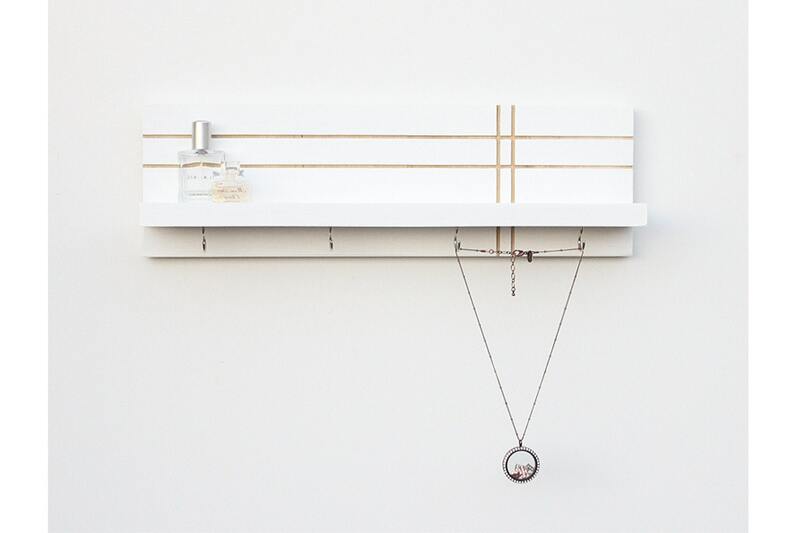 The item will also work great as a jewelry rack for hanging necklaces, watches, bracelets and storing/displaying perfumes or other small trinkets. 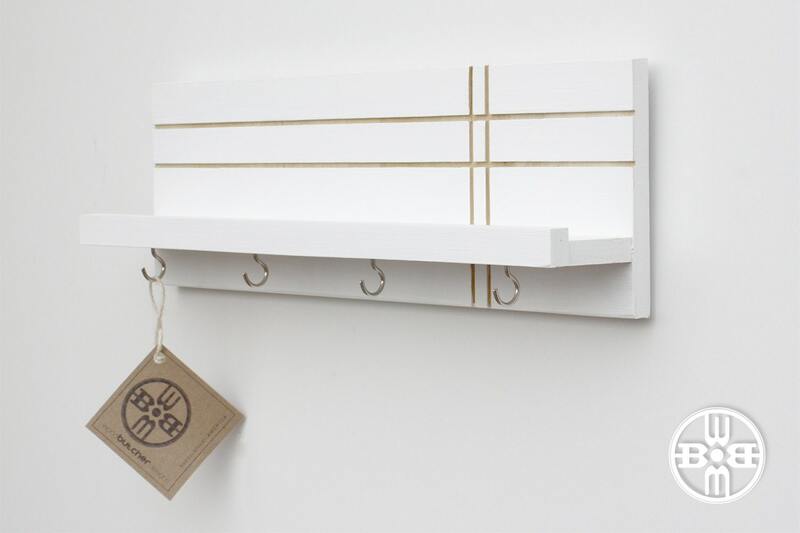 Our modern entryway key rack features natural wood inlays and a modern matte clear coat finish.